What's a mug cake? | Learn how to make a cake in just 1 minute! What’s a mug cake? 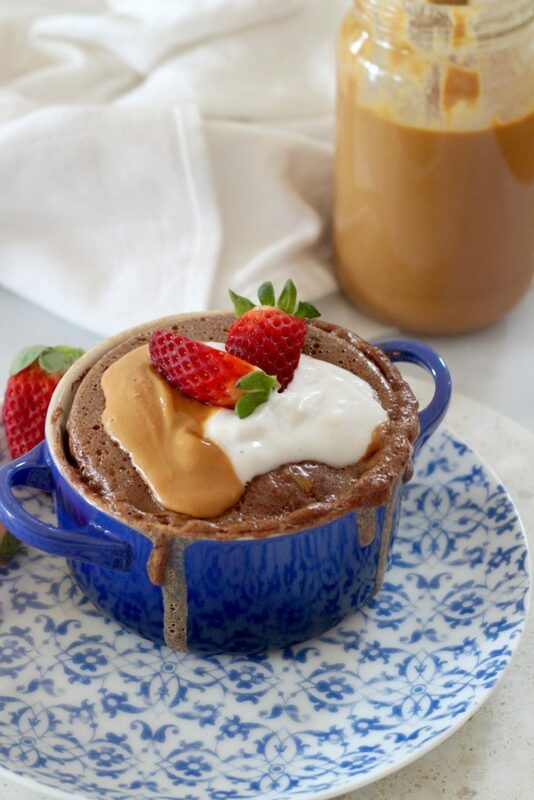 Best ever choc peanut butter mug cake recipe. Have you ever wondered what’s a mug cake? 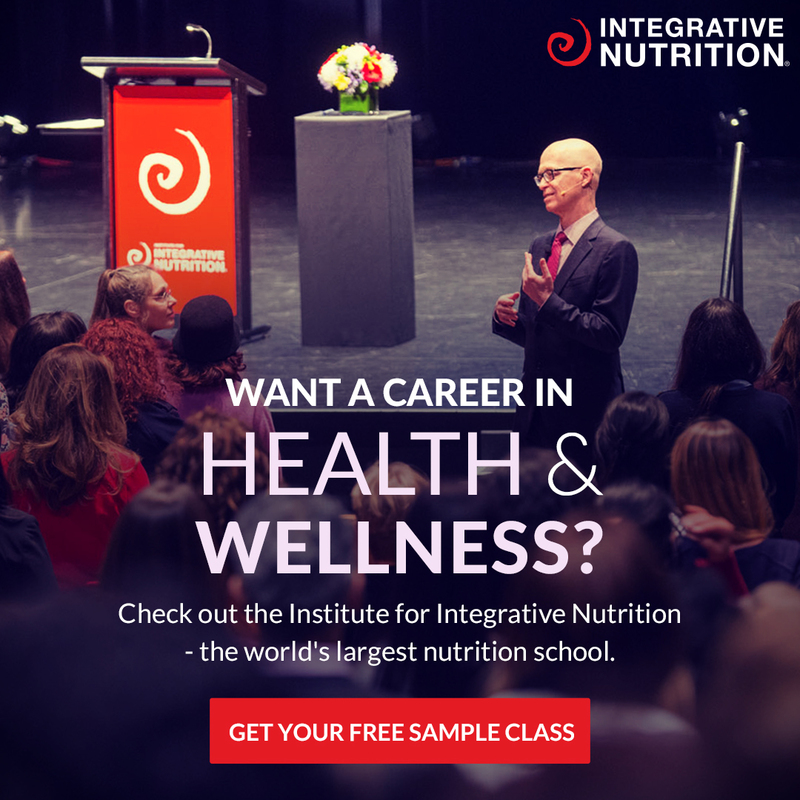 When we first transitioned to a healthy, good food lifestyle we would see them ALL. THE. TIME on Instagram. These delish looking cakes… are in mugs. Yep. That’s all it is! A mug cake is a cake made in a MUG! Mug cake. Makes sense now, doesn’t it? The best thing is that mug cakes can be made in under 5 minutes! So if you’re like us and you quite often have those moments in the evening after dinny where you really wish you had some left over cake, we’ve got you covered! Because you can make a mug cake in like 2 minutes… and it’s well worth the 2 minute effort! ESPECIALLY if you top it with all the toppings (which you should, like the more toppings the better). This recipe only has 7 ingredients: almond meal, cacao, peanut butter, eggs, butter, vanilla and sweetener. And you only need 1 x bowl, a spoon, a mug and a microwave. Yes, we used a microwave which we know some people are against but we’re all for the convenience factor sometimes. If you’re totally against microwaves you can make this baby in an oven, it will just take longer to cook. So what are you waiting for? Now you can go and love mug cakes as much as we do! 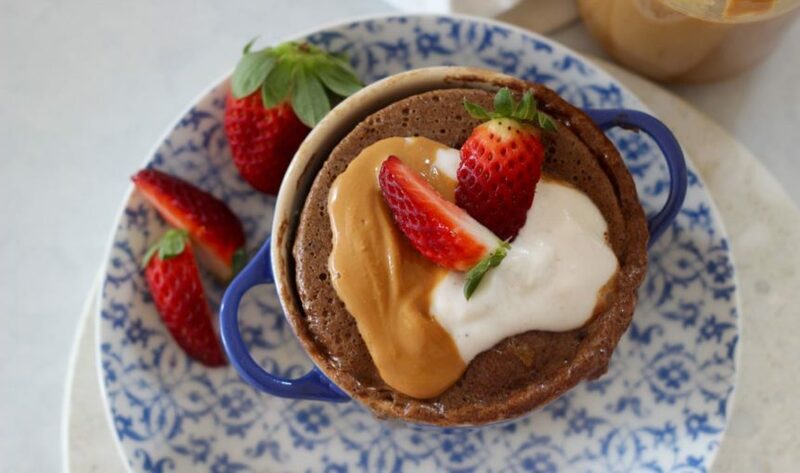 If you make this choc peanut butter mug cake, be sure to take a photo of your chocolatey mess and post it on the socials! 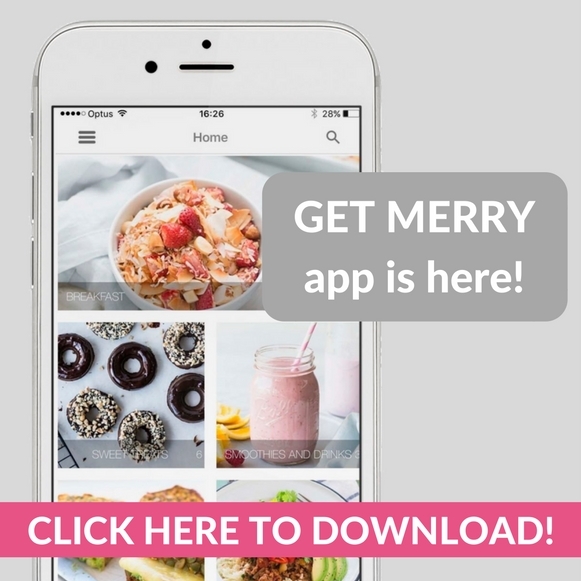 Use #getmerry so we can leave a comment and send you some love! Place all ingredients into a small bowl and mix until smooth. Transfer into a mug or ramekin and place into the microwave for 1-2 minutes. Keep an eye on it as it can overflow! So you might need to stop and start the microwave to make sure it doesn't get too messy! Top with whatever your heart desires and NOM NOM NOM! You can bake this in an oven for 10 minutes on 180°C (350°F) if you prefer!